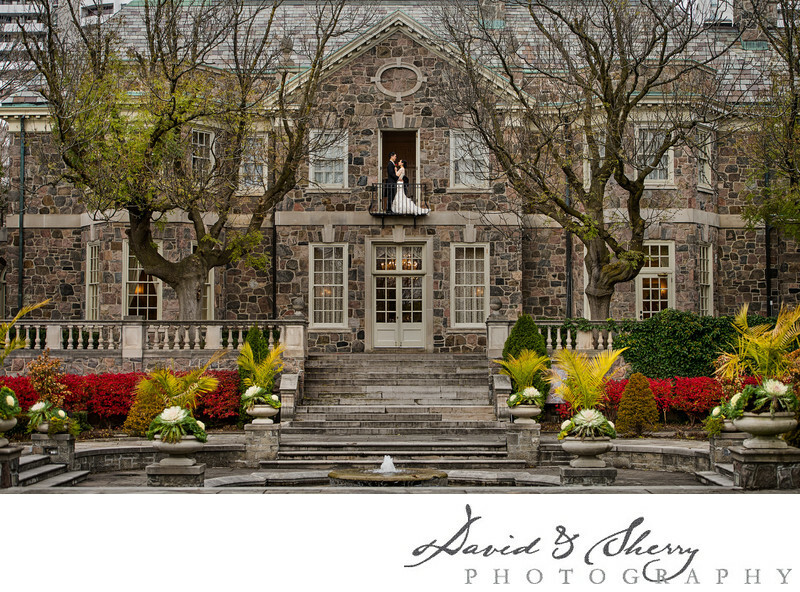 Graydon Hall Manor is the perfect venue for wedding photography. There are so many places throughout the 1920s built home to take pictures such as the front entrance. 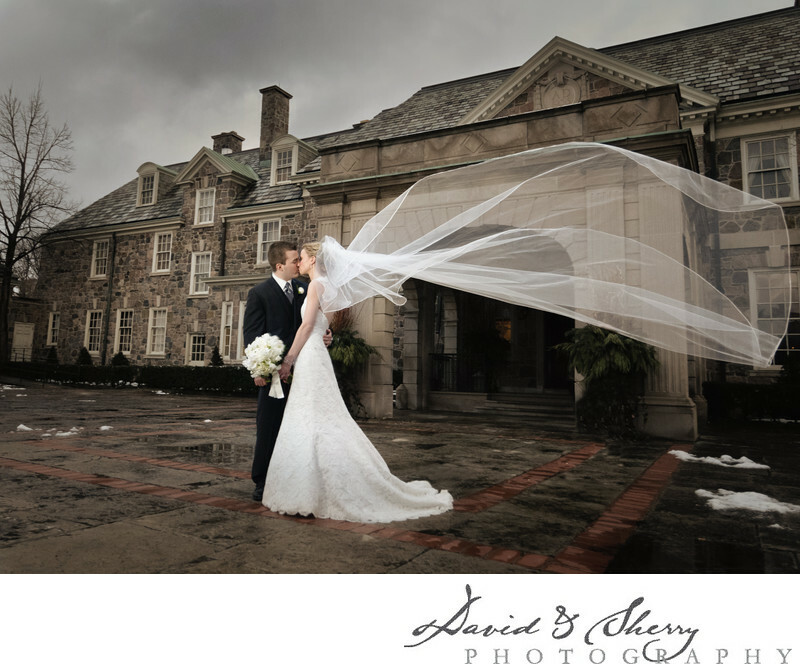 The stone driveway up to the covered front door perfectly frames a couple with this gorgeous venue in the background. 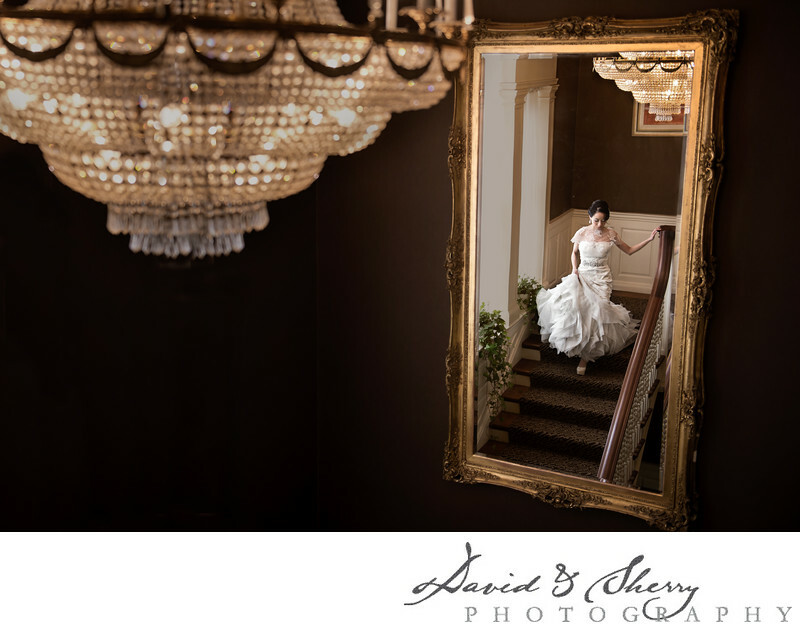 Once inside the foyer is fantastic, the grand staircase to the second level with the large mirror on the wall allowing for beautiful front and back of the wedding dress shots as the bride walks down the stairs, and there just so happens to be perfect lighting on the stairs. As you exit the rear of the Manor the terrace with it's large trees growing through the brickwork, and the steps down to the fountain and courtyard. The ponds on one side of the back yard offer an oasis away from the business of the wedding day while the back lawn is a place frequented by families with children and those wanting to stretch their legs. If you then turn around and look back to the Manor you will have the most stunning view available which is what is shown in this picture here. The bride and groom having their wedding photography captured while they are on the balcony of the bridal suite in the fall with the burning bushes below and the entire manor to their right and left in architectural beauty. Built in 1936 by Allan George and Walter Moorehouse this 29 room Georgian Manor had a sprawling property to go along with the magnificent house. There was a private golf course, racetrack, stables, hunting dogs, and farmhouse much of which has been taken over by the development of Toronto, but the gardens around the main house including the fountain and original sculptures by Lorrie Dunnington-Grubb. The fountain system which came out from underground at the east staircase flowed into the fountain in the middle then down to a small pond before making it's way west down the hill over another 3 acres of property. This was truly a sportsman's paradise at it's peak. There have even been several movies filmed at the location including Cake and Untitled Secret Service Project. Whether Graydon Hall Manor is hosting your event or not you can get a permit to photograph on the property. For a fee you can reserve the property for up to 2 hours in order to have your photos taken over the property which I believe is the best wedding photo location in Toronto. Because of it's immense variety and given it has enough space to be able to shoot with the longest of lenses in order to compress the subjects gives it an advantage over every other photography location in town. It is also very near the highway giving it easy access. We love taking the bridal party for a group photo on the staircase or capturing a ceremony in the courtyard or walking the property with our bride and groom on the day of their marriage and looking for unique and interesting views. The stone building materials give a lovely texture to the photos. The trees in the courtyard give us depth when photographing along side of them, the side walk way gives us beautiful lighting and the ability to hold our cameras up high to get a different angle. We are also the photographers who give our clients freedom within their picture taking time. We will give direction to pose but only to get the best out of our clients. We will often create scenarios for the couple to play out so that we can get real emotion and beautiful moments of laughter, happiness and joy on their faces. When the bride is getting ready in the bridal suite on the 2nd floor up the grand staircase she has access to one of the nicest rooms available. She can step into her designer Vera Wang dress and Manolo Blahnik shoes in a newly redesigned light colored room with a fantastic balcony and door with light coming through. Creating stunning royalty like classic bridal portraits using the available window light, mirror and bench provided in the room is one of our favourite things to do while we are at the manor. There was one time our bride was a little bit nervous before it was time to walk down the aisle and she had already had her girls do up her corset and it was just her in the room along with me. She walked over to the window to look out over her ceremony location on the back terrace and had her hand up on the side of the wall. The light coming through the window was breathtaking and it created for us one of the most moving portraits I have ever captured. If you hire us to be the wedding photographers for your day we will put the same care and effort into creating stunning portraits that we hope you say are the best photos you have ever seen of yourself. 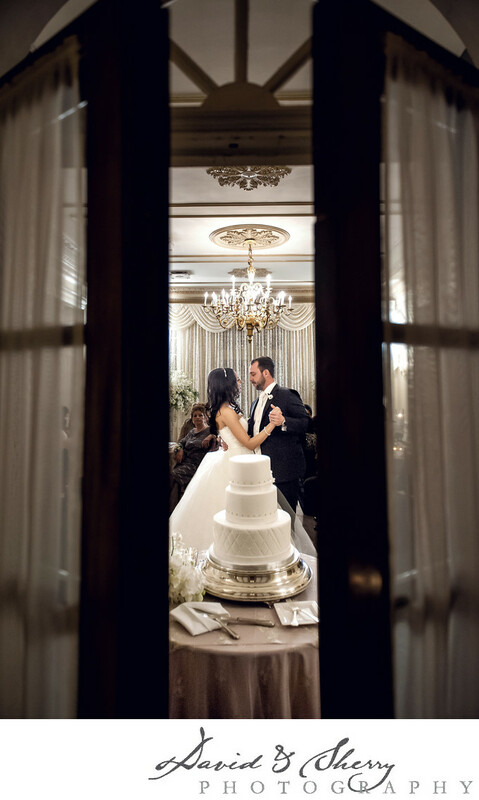 We can be the best wedding photographers for your wedding at Graydon Hall through our experience, skill, creativity and knowledge by being one of the preferred vendors.